Londoners returning to work this week encountered “Fare Deal” activists at transport hubs across the capital. 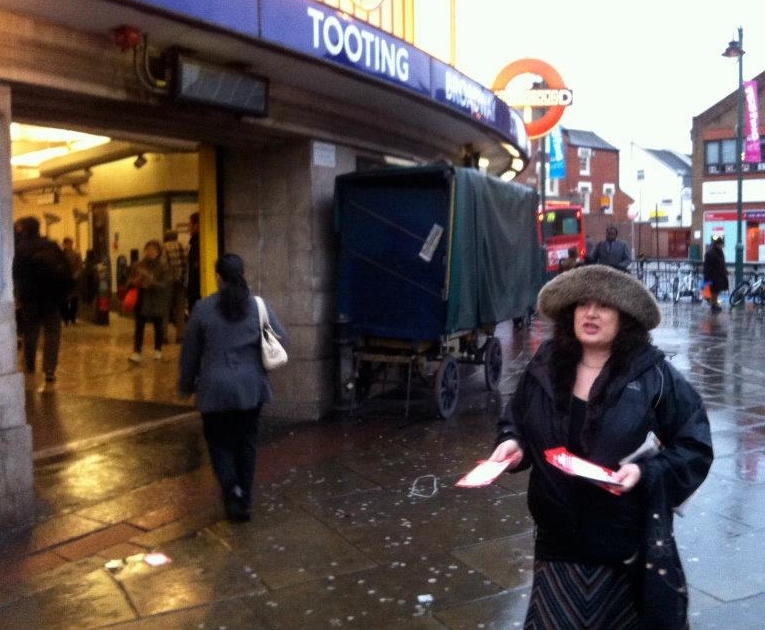 In Tooting GLA Candidate Leonie Cooper joined Labour Councillors and party members, whilst Labour Councillors and supporters leafleted at Clapham Junction. Boris’s latest hikes came into effect during his continuing absence on holiday. A monthly travelcard covering zones 1 to 6 has gone up from £193.60 to £205.10, and an annual one from £2,016 to £2,136. A single bus fare is up from £1.30 to £1.35. Ken Livingstone has pledged a 7% cut in October should he win in May. This would apply to the new package, not the 2011 one. Were such a reduction made exactly and evenly across the board, that zone 1 to 6 monthly travelcard would come back down from £205.10 to £190.74, and the annual one from £2,136 to £1,986.48. As well as reversing the 2012 hikes they’d undercut the 2011 package by small amounts. Ken has made a specific pledge on the single bus fare, saying it would come down to £1.20. It was 90 pence when Boris came to power four years ago. Boris hasn’t had a holiday this year. In the summer, he was only away a few days, and he had to come back from the Rockies to deal with the riots. This is his first holiday, a week off with his family, all year, and Labour moan about it. Shameful. We welcome all polite comments – even if we don’t agree with them! He does pick his moments though…..